Because of how versatile the food industry is, a restaurant is an excellent business to run when it comes to attracting customers and restaurant marketing. Not only are you providing a necessity – food – but you are also providing a place for customers to have fun, socialize, or even get some work done. As a food service provider, your job is no longer just to provide food but also to provide an experience. 1. Offer coupons and discounts. While this may at first seem counter-intuitive, if you offer exclusive discounts available only for a limited time, you may actually boost your revenue. This is because people LOVE coupons. They love coupons so much that receiving discounts raises oxytocin levels by 38 percent! This means coupons quite literally make people feel happy, not to mention that they feel like they are saving money, and they get great food from you in return. 2. Provide free gift cards to customers for their birthday. Think about it. Yes, you are giving out a free meal, but your customers are likely going to bring their family and friends with them to celebrate their birthday at your restaurant, which means extra customers coming in to purchase your food! Not everyone has wi-fi, and even if they do, a lot of people simply like to get out of the house to get their work done. Therefore, by offering free wi-fi at your restaurant, you’re likely to draw in more people. Even if they are originally coming to you just to get some work done, they may get hungry or thirsty while they are at your establishment and start ordering food and beverages. Or you can have a requirement that to use your wi-fi, customers need to order something. 4. Profit off of happy hour. As employees are getting out of work with their stomachs grumbling, you have a prime opportunity to engage with restaurant marketing! Put certain items on your menu at reduced prices between the hours of 5 p.m. and 7 p.m. to get customers flocking in for dinner after a long day. *Please be aware of your location’s alcohol laws. This idea is solely for food. 5. Engage with or host local events. When restaurant marketing, give your customers something to do aside from just grabbing a bite! Hosting sports viewing events and themed parties is an excellent way to satisfy your customers’ urge to get out of the house and have fun. 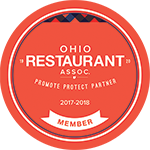 Since you serve food, you can also partner with other local events where you can serve food, get your restaurant’s name out there and bring in some extra revenue. 6. Have live music come in. If a party isn’t your style, offering live music is a low-key way to host an event at your establishment. Just leave it to the local musician to quite literally take the stage. Just make sure that if you provide live music, you have someone on staff who knows how to set up a proper stage so that you have good sound quality. 7. Collect email addresses and send marketing, holiday and birthday emails. There’s no point in offering coupons, discounts, events and more if no one knows about them! When customers come in, give them the option to sign up for emails regarding special discounts and events at your establishment, and if they sign up, give them the option to submit their birthday for their special birthday coupon. 8. Take amazing food photos for social media (and also be active on your social networks). There’s no doubt that today people spend more time than ever on social media, especially with the vast array of networks that now exist. 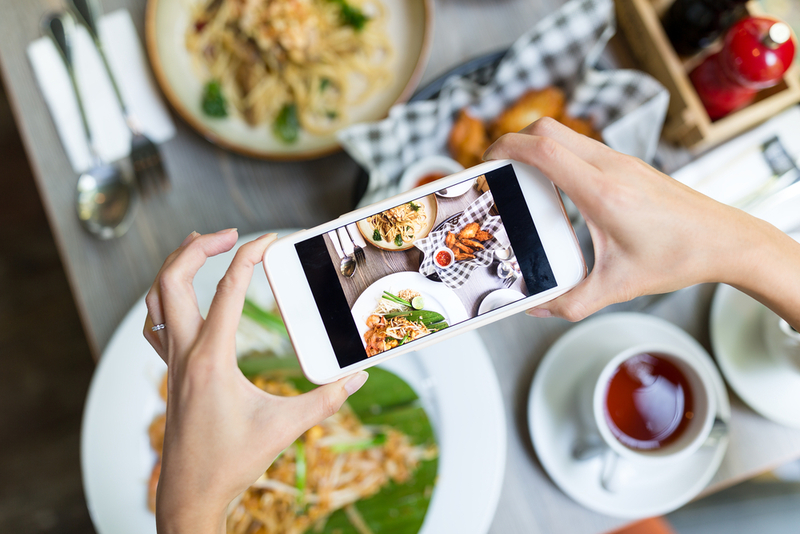 Attract people right where they’re already looking by posting mouthwatering pictures of your food on your pages. You can also stay active on social media by posting about upcoming events, writing about past events and alerting your customers to current discounts and coupons. 9. Create an awesome restaurant aesthetic. Like we said earlier, it’s all about providing your guests with an experience, which means that every detail of your dining room matters. From getting the right tablecloths and napkins to the aprons that your servers are wearing, strive for a restaurant atmosphere that your guests will want to photograph. 10. Make it easy for customers to order carry-out by offering online ordering. While you still want to prioritize the aesthetic of your business space, sometimes people just prefer to take food home instead of eating out. Cater to both crowds by focusing not only on how your business looks, but also by providing carry-out services so that people can order their meal online ahead of time and then come pick up their food. 11. Encourage your customers to leave online reviews. Poor reviews to no reviews on a restaurant is sure to leave your business space a ghost town most hours of the day. This is because people need to make sure that they’re getting delicious food and great customer service and that the food is safe to eat! While a customer should ask the restaurant for their inspection report if they are truly worried, positive customer reviews often give customers that validation that they are looking for that other people have tried the food, enjoyed it and did not get sick from eating it! 12. Partner and collaborate with local businesses. You can’t do all this work of restaurant marketing on your own though! Partnering with local businesses gives you the opportunity to gain insight from outside sources, save time on projects and tasks, and save money on potentially doing a task wrong or inefficiently. One local business you should start collaborating with today is CleanCare. We are your local restaurant linen rental service, delivering quality linens to you and taking care of all of your linen and uniform laundering so you can focus more time and energy on the food, events, finances and other important matters of your business. We provide you with tablecloths, napkins, chef uniforms, aprons, towels, mats and mops to help your business always look presentable and professional to your customers. To learn more about our quality linen services and how we can help you attract more customers to your restaurant, contact us today at 800-222-7600.